White PROFI-Chemical Coverall with zipper and hood for disposal, sanding and cleaning works. 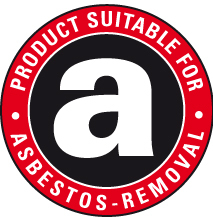 The PROFI one-way overall offers protection against fine, aggressive and toxic dirt or dust particles and can be used for asbestos abatement. With blue stitchings and elastic band at arms, legs and waist area.